Since 1928, Asplundh Tree Expert has been dedicated to safe, efficient and innovative line clearance services to the utility industry. Reliable, uninterrupted power is an important service provided by the world's electrical utilities and Asplundh has the expertise to help keep the power flowing. Diversification over the years has opened up vegetation management services to other specialized markets such as municipalities, railroads, pipelines, and departments of transportation. A family-owned and operated corporation headquartered near Philadelphia, Pennsylvania, Asplundh has grown to employ over 35,000 service professionals throughout the United States, Canada, Australia and New Zealand. 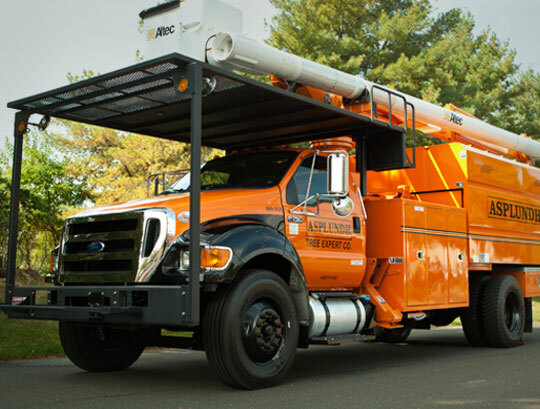 As a full-service utility contractor Asplundh performs tree pruning and removals, right-of-way clearing and maintenance, vegetation management with herbicides and emergency storm work and logistical support. If you are looking for other utility related services, Asplundh is the parent company of UtiliCon Solutions whose subsidiaries provide overhead and underground line construction, meter reading and AMR/AMI installation, electrical testing, and street lighting/traffic signal services.